Visiting Palm Cove Beach and Mossman Gorge will get you outdoors. Discover out-of-the-way places like Trinity Beach and Botanical Gardens. Change things up with a short trip to Wildlife Habitat Port Douglas in Port Douglas (about 1h 15 min away). Spend the 4th (Fri) among aquatic life with a scuba or snorkeling tour. There's more to do: take in the architecture and atmosphere at St Monica's Cathedral. To see photos, traveler tips, maps, and more tourist information, go to the Cairns trip itinerary planner . London, UK to Cairns is an approximately 23.5-hour flight. Traveling from London to Cairns, you'll lose 10 hours due to the time zone difference. In January, Cairns is much hotter than London - with highs of 37°C and lows of 28°C. Finish your sightseeing early on the 6th (Sun) so you can travel to Alice Springs. 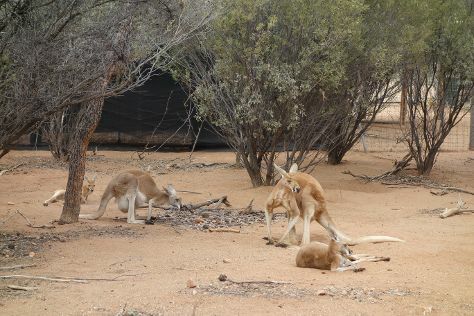 Start off your visit on the 7th (Mon): identify plant and animal life at Alice Springs Desert Park, view the masterpieces at Tjanpi Desert Weavers, and then look for all kinds of wild species at Wildlife Areas. Get ready for a full day of sightseeing on the next day: take in the dramatic natural features at The Emily and Jessie Gaps Nature Park, then look for all kinds of wild species at Alice Springs Reptile Centre, then steep yourself in history at Alice Springs Telegraph Station Historical Reserve, and finally take in the awesome beauty at Mount Gillen. To find photos, more things to do, and more tourist information, read Alice Springs journey planner. Getting from Cairns to Alice Springs by flight takes about 4.5 hours. Other options: drive; or take a bus. Expect a bit warmer weather when traveling from Cairns in January: highs in Alice Springs hover around 41°C, while lows dip to 25°C. Cap off your sightseeing on the 8th (Tue) early enough to travel to Adelaide. Escape the urban bustle at Blowhole Beach and Horseshoe Bay. 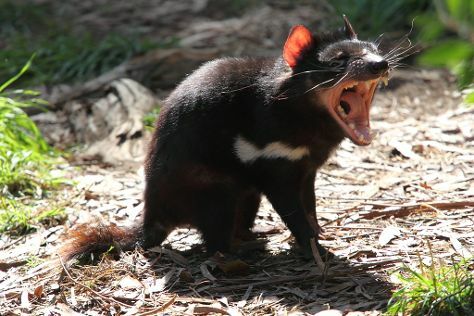 You'll discover tucked-away gems like Cleland Wildlife Park and Morgan Beach. Change things up with these side-trips from Adelaide: Carrickalinga Beach (in Carrickalinga), Boomer Beach (in Port Elliot) and Waitpinga Beach (in Waitpinga). Next up on the itinerary: steep yourself in history at Adelaide Oval, browse the eclectic array of goods at Adelaide Central Market, kick back and relax at Seacliff Beach, and stroll through Henley Beach. To see where to stay, photos, maps, and other tourist information, use the Adelaide trip itinerary planner. Fly from Alice Springs to Adelaide in 4.5 hours. Alternatively, you can drive; or take a bus. In January, Adelaide is slightly colder than Alice Springs - with highs of 34°C and lows of 19°C. Cap off your sightseeing on the 13th (Sun) early enough to travel to Melbourne. We've included these beaches for you: Eastern Beach Reserve and 13th Beach. Step off the beaten path and head to Ocean Beach and Sorrento Back Beach. 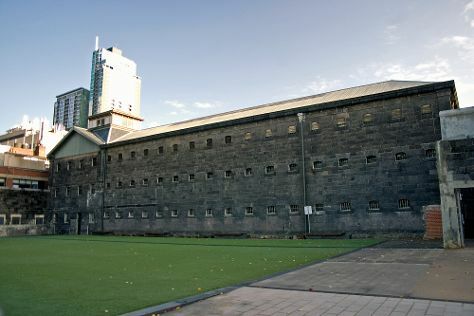 The adventure continues: steep yourself in history at Old Melbourne Gaol and meet the residents at Melbourne Zoo. For other places to visit, maps, traveler tips, and other tourist information, read our Melbourne road trip app . Fly from Adelaide to Melbourne in 3.5 hours. Alternatively, you can drive; or take a train. In January, daily temperatures in Melbourne can reach 32°C, while at night they dip to 17°C. Wrap up your sightseeing on the 16th (Wed) to allow time to travel to Sydney. Get in touch with nature at Bondi Beach and Shelly Beach. 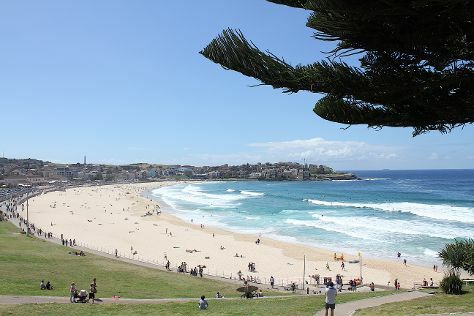 We've included these beaches for you: Manly Beach and Camp Cove. There's still lots to do: take a stroll through The Rocks, kick back and relax at Clovelly, trek along Bondi to Coogee Beach Coastal Walk, and stroll through The Opera House to the Botanic Gardens Walk. For other places to visit, where to stay, ratings, and other tourist information, read our Sydney planning tool . Getting from Melbourne to Sydney by flight takes about 3.5 hours. Other options: do a combination of shuttle and flight; or drive. Traveling from Melbourne in January, expect a bit warmer with lows of 23°C in Sydney. Finish up your sightseeing early on the 19th (Sat) so you can travel to Brisbane. Visit Coolangatta Beach and Burleigh Head National Park for some beach relaxation. 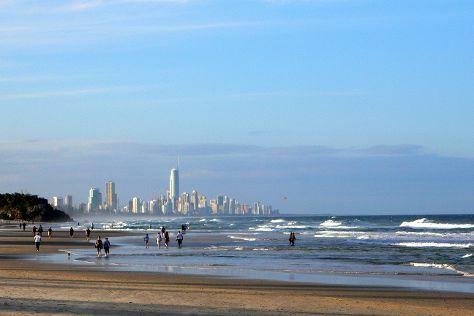 Take a break from the city and head to Mooloolaba Beach and Burleigh Heads Beach. You'll find plenty of places to visit near Brisbane: Caloundra Lighthouses (in Kings Beach) and Fingal Head Lighthouse (in Fingal Head). There's much more to do: identify plant and animal life at Lone Pine Koala Sanctuary, enjoy the sand and surf at Moffat Beach, and take in nature's colorful creations at Roma Street Parkland. For where to stay, ratings, reviews, and other tourist information, read our Brisbane online vacation builder . Fly from Sydney to Brisbane in 4 hours. Alternatively, you can do a combination of flight and bus; or drive. Expect a daytime high around 34°C in January, and nighttime lows around 25°C. Cap off your sightseeing on the 23rd (Wed) early enough to travel back home.